Now is a great time to revitalize the appearance of your favorite rooms. With Andros Floor Design, you can explore your interior design options and elevate the look and feel of your home. We offer a wealth of different luxury vinyl planks in Santa Barbara, CA. Thanks to our product selection, customer-oriented approach, and professional installation services, you have everything you need to get the most out of your next remodeling project. Luxury vinyl planks are a smart investment for your property. Take your remodeling efforts further at our location. At our flooring showroom, we feature quality products from the trusted brands and manufacturers. Their look and appeal are matched only by their versatility and strength. If you need help choosing your favorite flooring, then we’re here to help. Our showroom staff is well-versed in interior design and the flooring industry. We’ll provide insight on the latest trends, and make recommendations that will meet your needs. Our location is more than a showroom--we’re a resource. Of course, many homeowners are attracted to this flooring product because it offers a natural ambiance--without the maintenance commitments. That’s right--LVP flooring is available in the appearance of hardwood. Imagine rustic redwood, pine, and oak in the kitchen or bathroom. Thanks to the resiliency of this flooring material, you can take advantage of the no-nonsense durability of vinyl and give any room a natural beauty. No need to schedule sanding or refinishing services--just use a mild detergent and a mop or cloth to keep your surfaces looking new. When properly installed, your new luxury vinyl planks will serve you well for years. Attain picture-perfect results with professional luxury vinyl plank floor installation by our team. We coordinate with trusted installers to provide timely service that fits your schedule. 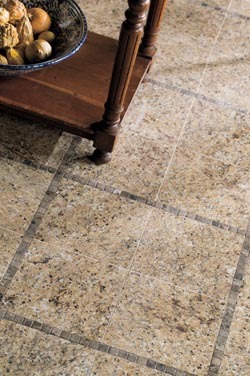 Luxury vinyl can be installed directly on old tile, as well as virtually any kind of solid surface. We’ll plan your installation project, so you get the right service. With our help, you can enjoy your purchase sooner, all while saving time and energy. Make the change today and visit us to discuss your options. Contact our showroom to learn more about luxury vinyl planks. Our showroom proudly serves property owners throughout Santa Barbara, CA, including Isla Vista, Mission Canyon, Montecito, Summerland, and the surrounding communities.